As a child, I had three ultimate life goals: (1) Own a cat, (2) Become a singer, and (3) Eat ice cream every day with my BFF. Sadly, I’m allergic to cats, rarely sing at open mics, and am lactose-intolerant. But part of my childhood dreams could still become reality. 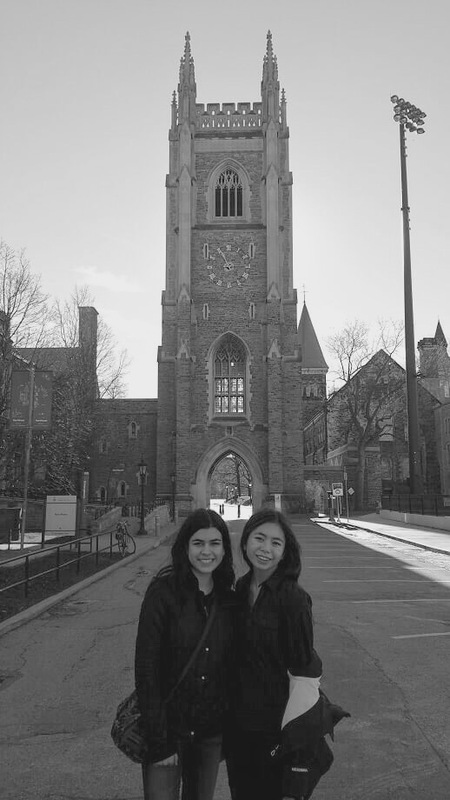 My childhood BFF is considering coming to U of T next year! This weekend I got to be her tour guide, and show her all my favourite spots around campus. 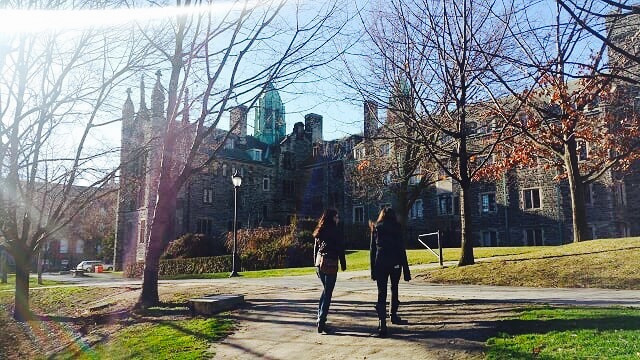 These are the places I showed her to convince her to come to U of T! My decorating skills aren’t too shabby. I kicked off the tour in my dorm room. 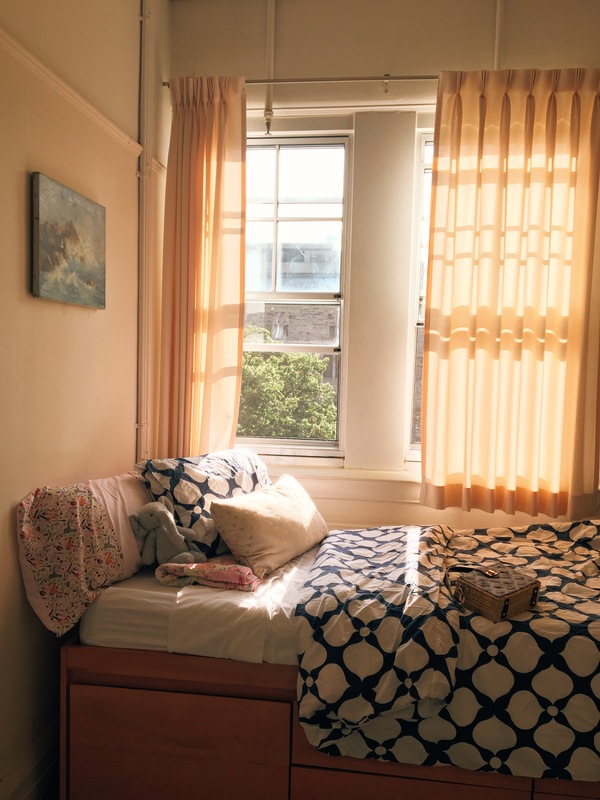 While college residences have a pop culture reputation marred by stories of mildew and monster roommates, I love everything about my residence. I like it so much, in fact, that I’ve lived in the same building for two years in a row! I feel lucky to be able to roll out of bed and walk to class in minutes. I also love the building itself, which is designated a National Historic Site of Canada. Hanging with our friend, Northrop Frye. 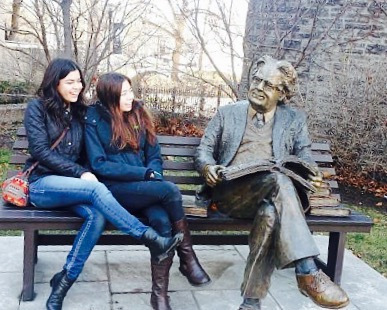 We also visited Victoria College’s signature landmark- the Northrop Frye statue! Frye was an influential literary critic, and a Victoria College alumnus. Plus, he’s made movie cameos. 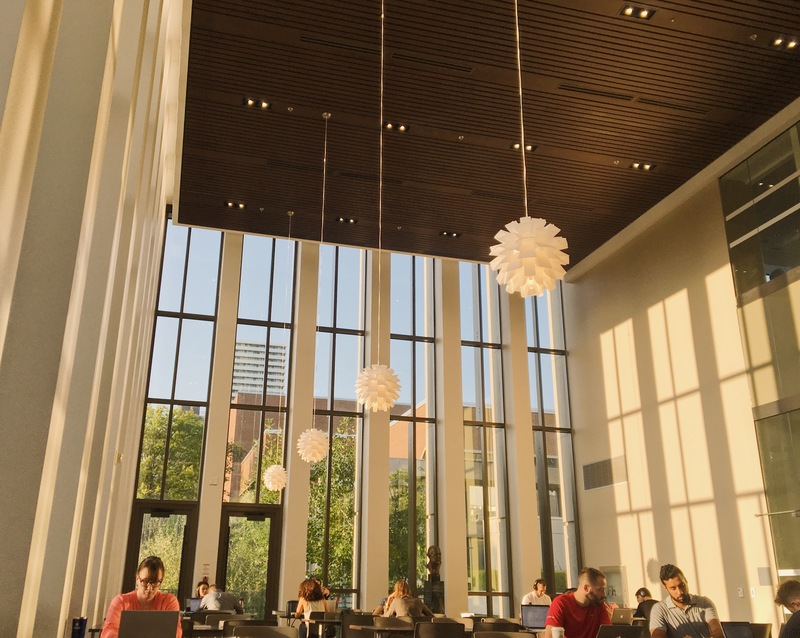 Bora Laskin Law Library- U of T’s number one spot for sunlight and stressed law students. What trip to U of T is complete without a library visit? Next off, I showed my friend one of my favourite places to study- the Bora Laskin Law Library. If you attend U of T, you’ll probably spend a lot of time studying. Luckily, there are many beautiful places to do it! At Bora Laskin, light radiates through the floor to ceiling windows, making for the perfect study environment. The room is reliably so quiet that you can hear a pin drop. My favourite Japanese food, okonomiyaki! At the end of the day, we visited my favourite restaurant, Okonomi House. 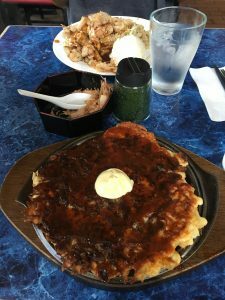 It is only 5 minutes from Victoria College, and it has the best Japanese comfort food! Okonomiyaki is a savoury Japanese pancake-like dish, featuring cabbage and other ingredients of your choice such as beef or seafood. Meanwhile, the only place that we can get Japanese food in our hometown is my house! One of the best perks of being a U of T student is that there is never a shortage of good food options to choose from. While my friend is still undecided on her college decision, I know she enjoyed the tour. 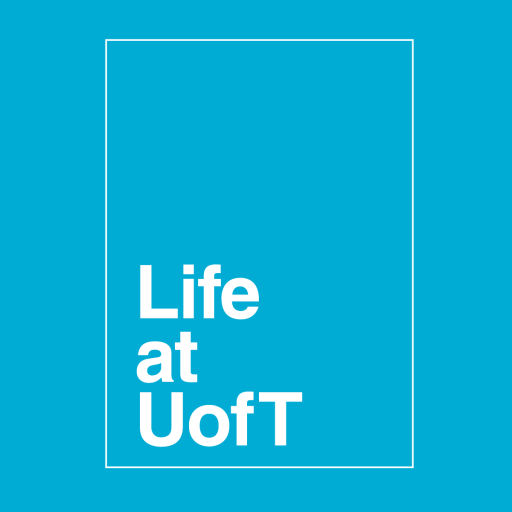 Only time will tell if Toronto’s food scene and U of T’s aesthetic libraries were enough to woo this prospective student!